I saw something recently that said "love is the light of your soul" and it seemed just right for Katie and Jason's intimate exchange of vows in the beautiful backyard of their home. 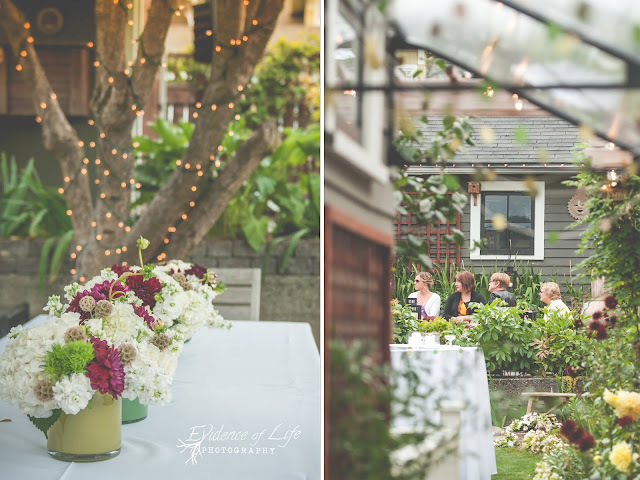 Their garden created the perfect romantic setting draped in twinkle lights and hanging candles that flickered in the summer breeze. Katie even made all her own floral arrangements and bouquets - isn't she incredibly talented! I'm in love with the sprig of blackberries in her bouquet - so very northwest! After a short and sweet exchange of vows witnessed by their closest family members and officiated by a good friend, they were joined by as many friends and coworkers as could fit in their home to celebrate the love and joyous union of souls. The best word I can come up with to describe it is: perfect. 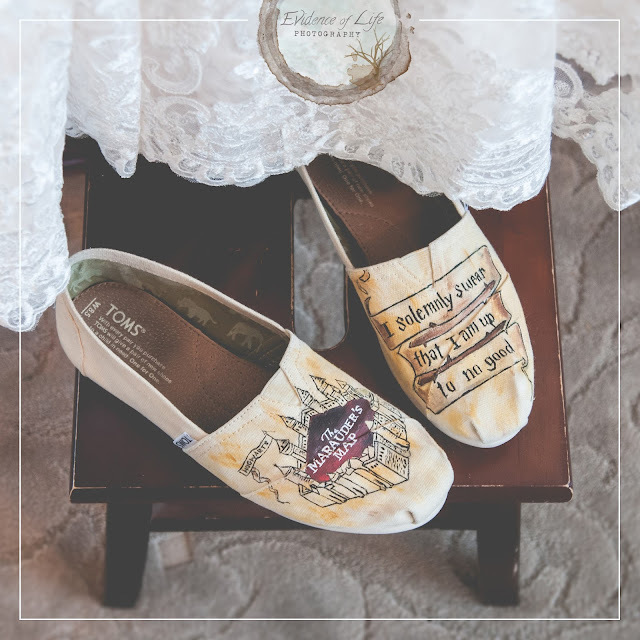 There are books and maps on the reception tables - beautiful symbols of the new journeys and chapters to be written in the years ahead … a Harry Potter inspired wedding cake topper ... a sand ceremony … the Marauder’s Map hand-painted on her wedding TOMS … a doting and romantic grandmother who made us cry with her beautiful words as officiant … a secret wedding gift from a bride to her husband … the inspirational words painted on the steps into the ballroom … a mother-son dance to the tune of 'A Simple Man' ... a globe for a guest book…..
We knew they shared our love of doggies, fantasy football, and the great outdoors; but the moment Dillon broke out the air guitar in the small of Alyson's back during the first dance– that’s when we knew these were our peoples!